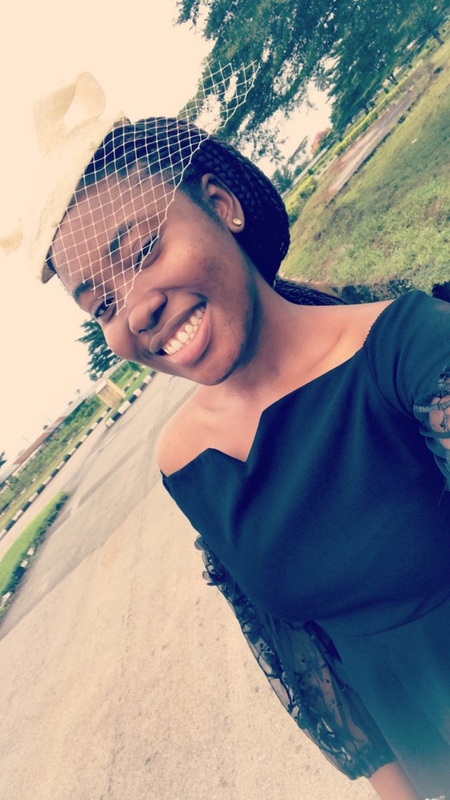 Home / Editor's Choice, Entertainment News, Featured Articles, Forum and discussion, Lifestyle / This feminist asked why JESUS did not have women among his disciples and got a savage response. Eh! Eh! This feminist asked why JESUS did not have women among his disciples and got a savage response. Eh! Eh! Tuesday, December 11, 2018 - Have you ever wondered why Jesus did not include women in his 12 disciples? Even when Judas Escariot the traitor hanged himself, he was replaced with a man. Actually some churches have used Jesus’ precedent to exclude women from taking leadership roles in their churches. 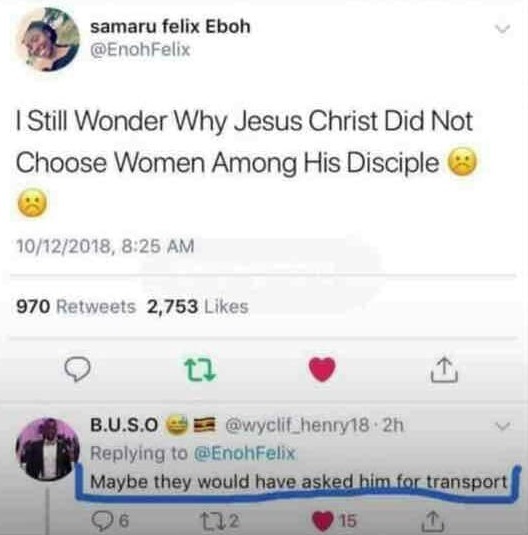 This lady took to social media to seek people’s views on whey Jesus didn’t include even one woman among the disciples and got savage responses.